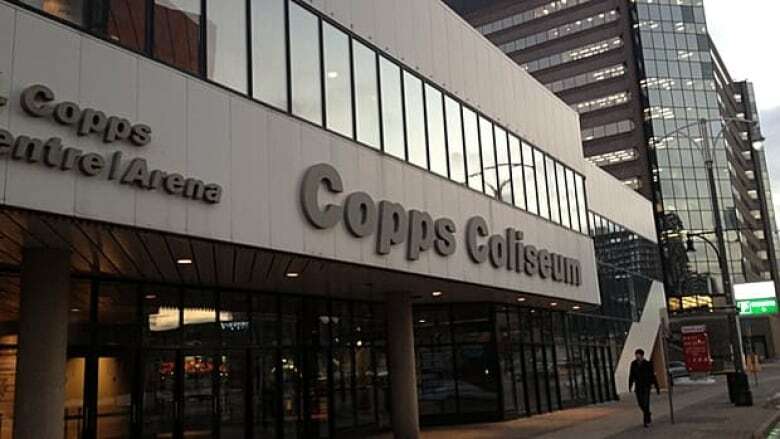 Copps Coliseum will become FirstOntario Centre under a new $3.5 million deal approved by the city. Copps Coliseum will be renamed FirstOntario Centre under a new agreement approved by the city. And the Copps family—consulted early on in the process—is largely OK with the change. The arena is due to be renamed this year after the local credit union, which is paying $3.5 million over 10 years for the naming rights. The rink inside the arena will be known as the Victor K. Copps Rink to remember the former mayor and namesake of the coliseum. The sign will also include the words "In honour of Victor K. Copps." The city’s general issues committee voted Monday to accept the renaming, which was arranged between FirstOntario and coliseum manager Global Spectrum. Council will finalize its approval with a ratifying vote on Wednesday. The agreement would amount to about $350,000 a year for 10 years, less the cost of changing the signs. Global Spectrum is entitled to grant naming rights under a 2013 management agreement with the city. But the city must approve of the renaming. Copps Coliseum is named after Victor Copps, a long-time mayor and patriarch of a family well known in Hamilton politics. His daughter, Sheila, was an MPP for Hamilton Centre who went on to become an MP and one-time deputy prime minister. His widow Geraldine, also served as a long-time city councillor. All but one member of the Copps family is in favour of the renaming, Coun. Jason Farr said. Sheila Copps told CBC Hamilton in an email that her family was consulted early in the process and is "trying to be constructive." “The proponents are determined to honour my father’s legacy,” she said. The renaming money will go to Global Spectrum, which through an agreement will share some of it with the Hamilton Bulldogs hockey team. But if Global Spectrum builds up its bottom line, the city benefits. Once Global Spectrum breaks even on management costs, it shares any further profits with the city, which could happen as soon as 2015. The ratio is 70:30 in favour of the city. In 2013, the city subsidized Copps Coliseum, Hamilton Place and the Hamilton Convention Centre to the tune of $2.85 million. In 2014, the subsidy will be $1.79 million, said finance head Mike Zegarac. Four companies were interested in the naming rights, said Scott Warren, spokesperson for Global Spectrum. Some arenas command millions per year for naming rights. But $3.5 million over 10 years is a decent price for Hamilton, Clark said. FirstOntario Credit Union began in Stoney Creek in 1939 as the Stelco Credit Union. Today, it serves more than 100,000 members, president Kelly McGiffin told councillors. The company already sponsors the Bulldogs. "Our goal is to make sure the Copps name and the Victor Copps name is well respected," McGiffin said.